The food and beverage industry has some demanding requirements. Machines used in this industry have to meet the highest standards in terms of hygiene and cleanliness. 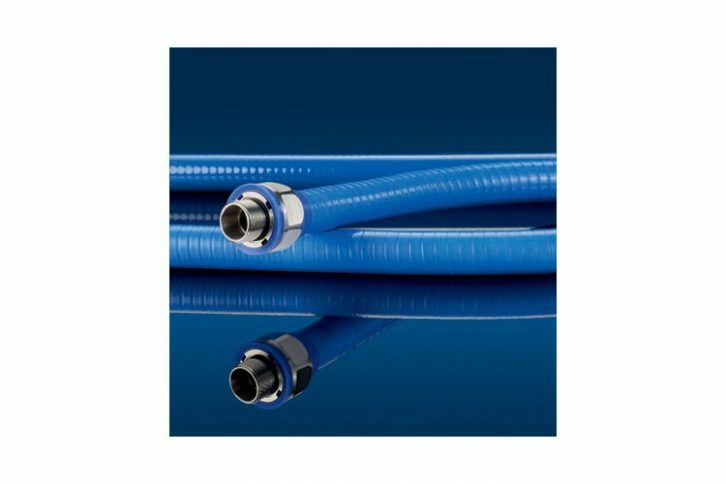 Our range of food safe conduits and connectors are designed to meet these high requirements whilst providing excellent protection for cables. This range of products are food-safe, flexible and also resistant to the detergents and cleaning processes that are applied in the food industry. The food safe conduit is available in a PU sheathed galvanised steel version or a highly flexible plastic coated wire version.